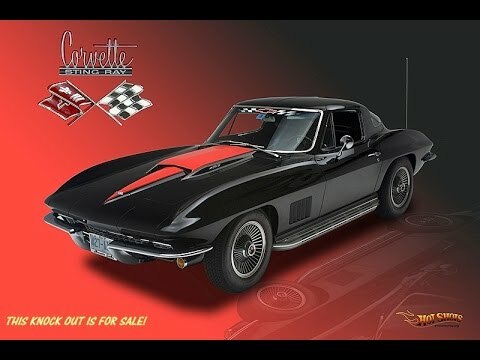 ﻿ 1967 Corvette Coupe For Sale in Maryland | Gorgeous 427 / 400hp Coupe Factory A/C! SOLD - SOLD - SOLD!!! CAN WE SELL ONE FOR YOU?? THIS JUST IN! THE PRICE WILL NOW INCLUDE FREE ENCLOSED SHIPPING TO YOUR DOOR IN THE 48 STATES AS WELL AS A 18 MONTH OR 18,000 MILE WARRANTY GOOD AT ANY LICENSED REPAIR SHOP!! HI FOLKS, I'M JEFF WHITAKER OF DREAM CAR SELLERS, LLC. OVER 900 CLASSIC CARS SOLD WITH A FLAWLESS REPUTATION. MANY OF THEM C1 AND C2 CORVETTES RIGHT HERE ON USED CORVETTES. 410-562-9319 THIS BEAUTIFUL '67 MAKES ME DROOL, HOPEFULLY YOU TOO! RUNNING VIDEO BELOW!! SHOW WINNING AND VERY HARD TO FIND, REAL, MATCHING #'S 427 / 400HP, TRI POWER, 4 SPEED WITH TOTAL LUXURY OPTIONS! POWER WINDOWS AND COLD FACTORY A/C TOO! DOCUMENTED WITH THE FACTORY TANK STICKER! Terms : Shipping & Warranty!